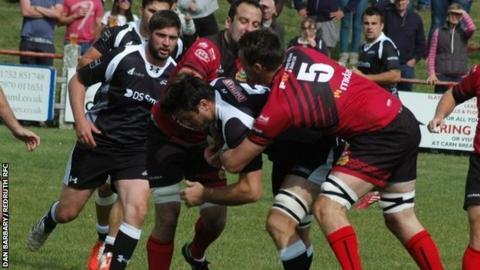 Launceston boss Jimmy Tucker says Saturday's Cornish derby with Redruth is "all about pride". Bottom side Launceston have yet to win and face a Redruth side who are fifth in National Two South. "We're poles apart really in terms of league position, everybody knows we're rock bottom and morale isn't high," Tucker told BBC Radio Cornwall. "But it's all about pride this weekend. The players want to play in this one, they're up for it." Launceston have not beaten their biggest rivals since a 31-10 win at Polson Bridge in September 2013. "I hope the boys will be revved up, but these are the kind of games where you get plenty of ammunition for team talks so it's one of the easier team talks you've got to make," added Tucker. "Strange things happen in sport, the form book goes out of the window in local derbies. I don't know if that's going to be the case. "What I'm asking from my team and the players is that they put in a performance that they can be proud of."